With a small “medium diving” crank bait, the air resistance you get from the lip when you are casting it has always been an issue needed to be resolved. You might had a bait swims great with a lot of action, but you couldn’t cast it well, or vice versa. Well, BULLET HEAD DD made it happen. 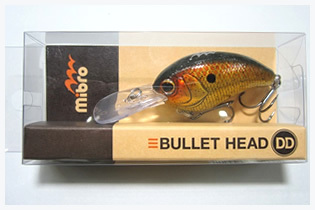 It is very easy to cast this bait far and yet it still swims great with strong wobbling action. Despite the strength of its action, it provides very subtle retrieve resistance so it lets you cast all day without wearing yourself out. 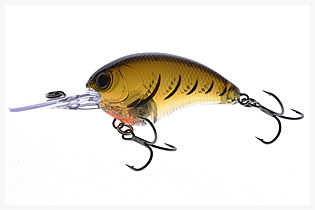 You can crank this bait with medium-light action rod which helps you to have sensitive retrieve compare to heavier action rods. 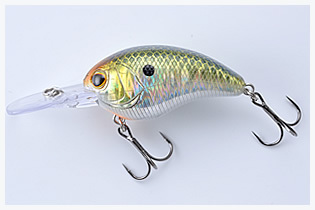 It also has a big lip for its size of crank bait, allows hook points to hide behind it, so it dodges cover easily. None rattle sound for high pressured fishing environment.